Game: The latest in the iconic monster capture RPG franchise, this time in full 3D. Good: Absolutely gorgeous; finally enters the modern generation in graphics and design; an increased emphasis on the single-player mode; abundant excellent fan service; adequate iterative improvements. Bad: Tragically lazy plot; often more tedious than challenging or engaging; some missteps and remaining outdated elements. Verdict: Despite the flaws, the most satisfying Pokemon experience in years, and the franchise's first legitimate entry point since the original generation. Rating: 8/10 -- "Great - fun to play, some minor but no major flaws"
Recommendation: A must-play for Pokemon fans and a great entry point for those that have never tried the series. "A love letter to the franchise's oldest fans, and a welcoming embrace for the new ones." If someone were to put a gun to my head and demand to know my favorite video game franchise, my response would likely be Pokemon. I would consider other franchises, like Uncharted, The Legend of Zelda, and Final Fantasy, better objectively, but as far as which games I most eagerly anticipate and enjoy despite their flaws, Pokemon is likely second to none. The original installment hit the United States right at that nice impressionable middle school age for me, and I have fond memories of beating the Elite Four over and over again with the same party of legendary birds and Mewtwo, back when beating a game didn't mean just moving on to the next one. It's nostalgia, without a doubt, that has ingrained Pokemon so firmly in my preferences. And as strange as this might sound, that is exactly the reason I have been so disappointed and critical of the Pokemon franchise for the past several generations. With each new barely-rehashed sequel, each new spin-off franchise, and each new disappointing generation, it felt like the franchise was getting more dilute rather than even stronger. I'm hesitant to use the word 'sell-out' because video games are, after all, a business first and foremost, but the emphasis for several years seemed on cashing in on the appeal of the franchise rather than on actually delivering a satisfying experience within the game universe. Each new generation felt like little more than the least amount of improvement, expansion, and innovation possible to justify a new collection of games and expect sales. As time went on, the series started to become staunchly prototypical, an amalgam of slots that you knew would be filled -- a new antagonist team, a new three-evolution bird Pokemon, a new set of legendary beasts. The single-player portion of the game became entirely marginalized in the face of the franchise's multiplayer elements, yet no effort was made to create a truly competitive and fulfilling multiplayer game. The Pokemon franchise was left in a weird limbo, improving in ways that achieved only a local maximum rather than reinventing itself as a multiplayer RPG, and stagnating on many of the elements that had made it a powerful franchise from the beginning. For me, watching the Pokemon franchise over the past seventeen years has been something like watching a childhood friend slowly change to fit in with the cheerleaders or a movie franchise receive so many sequels, prequels, television tie-ins, and straight-to-DVD movies that it is hard to even remember its core appeal in the first place. Rather than building on itself, improving, expanding, and pushing the envelope, the franchise instead made just the most minor improvements necessary to warrant a new release. This was a game franchise that almost single-handedly created a subgenre, yet it has been several years since a Pokemon game was truly one of the best examples of a genre the franchise itself created. Monster Hunter, Dragon Quest Monsters, and even Skylanders have all delivered better monster capture experiences in recent years than Pokemon. With each new sequel, the Pokemon franchise has grown weaker, more diluted, and more fragmented. That is, until Pokemon X. Pokemon X (and its sister game, though I'll refer only to Pokemon X in this review) marks the point where the Pokemon franchise finally decides to join the 21st century, and does so in incredible style. The game does not just improve upon the formula in another iteratively enhanced sequel; it marks more of a culmination of the entire franchise. It is the Pokemon game we've been waiting for since the first generation, a game that takes all the appeal and anticipation the franchise has banked over the years and finally cashes it in on a truly excellent experience. The game is not the Pokemon MMO I begged for in my review for Pokemon Black, but that's okay: unlike Pokemon Black, Pokemon X does not consistently remind you that you could be playing online. Instead, it concentrates on delivering a solid single-player experience, and lets the online mode exist separately as it should. But Pokemon X is more than just a strong Pokemon game. It's a game that validates, vindicates, and completes the promise of the franchise from so many years ago. Pokemon X marks as significant a transition for the Pokemon series as Ocarina of Time or Final Fantasy 7 did for their series. It proves the timelessness of the formula and the franchise and its ability to transition across different technologies, eras, and audiences. It is evidence that the Pokemon franchise has not just been riding the coattails of the goodwill it earned back in the 1990s, that the franchise is more than just a powerful name selling mediocre products on the back of brand loyalty, and that this series is still capable of defining and improving the genre it created. Pokemon X is a love letter to the long-term fans and an open embrace for the new ones. To the old ones: we haven't forgotten why you love this series, and we're finally ready to deliver the content you've wanted. To the new ones: you no longer have to suspend your expectations for graphics or depth to play a Pokemon game; we're ready to compete based on our merits, not our name. Pokemon goes 3D in the latest installment of the iconic franchise. This time around, you're in the Kalos region, an all-new region inhabited by several dozen all-new Pokemon. All the usual trappings of the series are here: you are a young Pokemon trainer starting out your journey with a water, fire, or grass type Pokemon. There are eight gyms for you to visit and defeat, as well as several routes to explore, nefarious evil-doers to thwart, and hundreds of Pokemon to capture. Along the way, you'll meet several rivals, and eventually challenge the Elite Four. The Pokemon formula hasn't changed in Pokemon X, but there are some fresh new improvements. The most significant one is the graphics; the game is full 3D in rendering, and often stereoscopic 3D as well through the 3DS's capabilities. Pokemon are fully animated in a somewhat cel-shaded fashion, as are many trainers. Your own character, too, can finally be customized, with several options from hair color and style to clothing and accessories. Several cities are now rendered in full 3D as well. There are also changes that will be especially significant to more serious Pokemon players: Effort Values (EVs), a determining variable in Pokemon's stats, are now explicit and visible, and can also be raised through means other battling specific Pokemon. Another new feature is Mega Evolution, a new temporary evolution available to many Pokemon through specific new items. There is also a new Pokemon type (Fairy type, whose notable matchup is strength against and immunity to Dragons), and some modifications to some of the classic type matchups (such as Electric types being immune to being paralyzed). I don't play Pokemon online. I gave it a try in Pokemon X and liked what I saw, but in my opinion, the single- and multi-player modes are so separate that they ought to be analyzed entirely separately. I didn't have the time to put a full analysis into the game's online play, and there are others with far more experience and expertise to perform that analysis, so this review focuses only on the single-player elements of the game. Don't let my adoring praising in the introduction to this review fool you: Pokemon X still has some very significant flaws. For all its progress toward becoming contemporary again, it is still stuck in the past on several things, and it even takes a step backwards for the franchise in one major respect. Pokemon X is not great because it does everything well; it is great because it does some things so superbly that they largely overshadow the flaws the game has otherwise. Pokemon X is absolutely gorgeous. It's one of the most beautiful games I believe I've ever played. This is not about the technical advancement associated with the graphics – I'll talk about that in the next section. This is just about the execution of those advancements, the design decisions that were made, and the artistic license that was taken. In those dimensions, Pokemon X is incredible. First, the battles themselves are borderline breathtaking, especially when you first experience them. To see the Pokemon that we've loved for years rendered in full 3D, with complete animations for attacking, defending, and fainting, is incredible. It's true that other games, like the console Pokemon Stadium games and others, have rendered them before, but somehow Pokemon X feels more faithful to the underlying franchise. To me at least, Pokemon X feels like the logical conclusion of the visual look and feel of the rest of the series; the console games, the spin-offs, and the others felt like gimmicks to translate the characters into new settings, but they did not feel like evolutions from the core franchise. Pokemon X, on the other hand, does. The combat scenes are not strong just because of the beautiful renderings of the individual Pokemon, either. The battle animations take a massive step forward in Pokemon X, and finally are contemporary compared to other modern portable RPGs as well. Many of the animations are rendered so beautifully that, combined with the depictions of the individual Pokemon, it almost feels like you're watching the television show. There, of course, is room for more dynamic interactions, customized attack animations, and multidimensional battlefields, but aside from those elements (which would be monumental for any game), the visuals of the combat have hit an impressive peak. For the last couple generations, the stale battle animations have made the combat seem slow as the majority of the time spent in the combat area is not entertaining to watch; Pokemon X, however, is a persistent visual treat. Outside the battle screens, the game is still visually very impressive, not just by the weak standards of the Pokemon franchise, but also by the standards for the 3DS in general. Although several of the towns fall into the stale Pokemon grid of weirdly forward-facing houses, there are lots of places it breaks this mold as well. 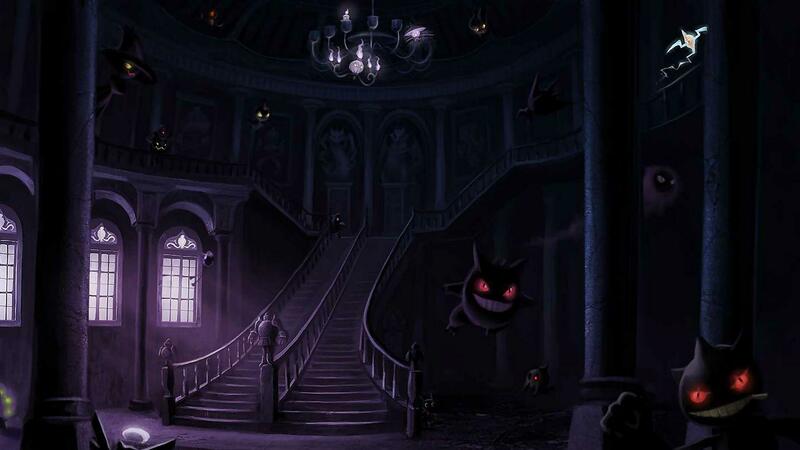 The game provides some of the most majestic settings in the franchise as well, including a sprawling palace, the cathedral of the Elite Four, and a Parisian-inspired metropolis. The Parisian city is rendered in true 3D, positioning the camera over the player character's shoulder in a way the Pokemon franchise has never done before. Throughout the game there are also tunnels, dungeons, viewpoints, and other places where the more contemporary camera thrives. The gyms especially are astounding; two in particular stick out in my head, one fashioned as a giant sphere around which the player follows prescribed paths and the other essentially a massive Rubik's cube. Taken all together, from the combat scenes to the world map to the cinematic sequences, Pokemon X is easily the most visually impressive game I've seen on the 3DS. It is also the most visually appealing game I've seen in the entire Pokemon franchise, not from a technical standpoint but from an artistic one. The execution of the visuals in Pokemon X feels like the proper culmination of the franchise compared to the more gimmicky depictions in some of the console spin-offs. One final element of this is a decision Pokemon X made that has been unpopular among many, but in my opinion was absolutely the right call. Pokemon X does not use the 3DS's stereoscope 3D throughout the game. On most of the town scenes, it is not available. It is available during the cinematic scenes, in the minigames, and in some world areas where a 3D view helps navigate, but overall, I would argue that Pokemon X takes a functionalist perspective on using the 3DS's stereoscopic 3D: it uses it where it will certainly contribute something to the game, but it does not feel obligated to use it everywhere. I praise the restraint, and in my opinion, it's indicative of the overall very careful thought applied to the visual style of Pokemon X. The designers weren't just trying to finally make a 3D Pokemon game, they were trying to make a fitting, natural, and satisfying 3D Pokemon game that stayed true to the series' roots, history, feel, and tone. Aside from the spectacular execution of the graphical style in Pokemon X, the very fact that a main-series installment of Pokemon finally uses contemporary graphics is well-appreciated on its own. Even if Pokemon X had not so brilliantly implemented the individual Pokemon, the cities, and the battle sequences, the game would still be far more suited to compete in modern gaming based solely on the technical achievements in the graphical area. Previously, in my opinion, there was a certain suspension of expectation that had to come with playing a Pokemon game; it was as if the game was always saying, "Yes, we know, we're inexplicably still a 2.5D (at best!) game in 2012, but come on, this is Pokemon! Remember Pokemon Red? Remember Pikachu? You know you love us, so you'll take what we give you." Now, however, the franchise finally needs not make any apologies. It's technologically contemporary. Aside from finally becoming contemporary graphically, Pokemon X also features the addition of several other more modern features that break up some of the tedious weaknesses of earlier installments. The game no longer goes to great lengths to retrain the player on choosing a Pokemon, catching their first one, and beating their first gym leader; at this point, it trusts that the player likely understand the game, and if not that they will catch on by themselves instead of requiring a tutorial that became more and more tedious as the generations wore on. The action starts immediately, partially served by the game's enhanced emphasis on its single-player experience, as detailed in the next section. Character movement is also much-improved; in addition to the true 3D design of many cities, gyms, and dungeons, the game also gives immediate access to running shoes to make moving around easier, and almost as immediate access to roller blades and a bicycle, all of which are important to allow the player to move around the game world at something resembling a constant rate. Character customization plays a strong role here as well; considering Pokemon, as an RPG, is one of those games where the player projects on the protagonist rather than plays the protagonist, it is important to be able to actually impact the character's appearance to enhance that connection. Other games that operate from this paradigm, such as Harvest Moon, have had this feature for a while, and it's good that Pokemon has finally jumped on board. The importance of all these modern features, however, isn't just that they finally mark the franchise's willingness to mature and develop. Rather, the absence of distractingly primitive elements means that the game's natural appeal can shine through better than ever. Throughout even the generations about which I am most critical, Pokemon has still remained cutting edge in some ways, but for many this development was overshadowed by the continued graphical laziness, restrictive controls, and largely iterative and evolutionary, rather than revolutionary, developments. With those problems lifted, we can once again see what makes the franchise so great. Pokemon X retains the appeal of the rest of the franchise while removing most of the distractions and weaknesses, turning in an experience that truly feels like the culmination of the series and an incredible treat for its fans. My overwhelming criticism of Pokemon Black was that the game seemed to go way out of its way to remind you that there's a multiplayer function that you might not be taking advantage of. The entire bottom screen was reserved for online functions, dozens of characters reference online functions, and the Pokemon distribution along the game's plot sequence was terrible for a single-player run because it was sculpted to provide just the storefront of the game's online mode. Except for the plot, Pokemon Black was far and away the worst single-player Pokemon game because it never seemed to actually pay attention to its single-player mode. My criticism then was that if Nintendo wanted to make a Pokemon MMO, they should actually make one instead of continuing to put out games that claim to be both single- and multi-player but really only give any attention to the latter area. Pokemon X solves that with flying colors. First, in direct response to my most prominent criticism on the previous generation, Pokemon X never goes out of its way to remind the player that there is an online mode. Like every other contemporary game that offers both single- and multi-player modes, they are kept separate, as they should be. The bottom screen has three possible displays, and only one of them is driven by the online play: the others are for EV training and building affection. The dialog throughout the game that alludes to the online mode can easily be interpreted as in-game references to the Pokemon world instead of thinly-veiled requests that the player go play online like the developers intended. You could very easily play the entire single-player plot of Pokemon X without realizing that there is an online battle mode as well, and that's a good thing. The single-player feels like it's actually the core of the game rather than just an elongated introduction to the real gameplay. Deemphasizing the multiplayer elements, though, would not inherently improve the single-player mode. It still had weaknesses in the past sequels, but Pokemon X solves these as well. From the very beginning, the game goes out of its way to facilitate a solid single-player experience. This starts with the availability of Pokemon throughout the early part of the game; rather than withholding the game's more interesting types – the Psychics, the Dragons, the Fairys, the Ghosts – until late in the game, Pokemon X throws them all to the player right off the bat. You've encountered at least one Pokemon of every type (or that will evolve into every type) except Ice before you even reach the second gym, and the first Ice type follows immediately after the third one. There are ample places to catch a variety of the most classically difficult-to-find types, such as Ice and Dragon, introducing some real personal creativity and options when planning a team for the single-player game. Eevee makes an early appearance in the wild as well, and every evolution method is available relatively early. A minor complaint I've had about Pokemon games in the past is that oftentimes, certain Pokemon were nearly obligatory because they were the only way to get a certain important type early in the game. In Pokemon X, you have lots of options right off the bat. In this way, the game has more replay value than other games in the franchise as well; for the first time, I can honestly say if I were to play the game through again, I'd use a completely different team. No one Pokemon was so strong or so rare in its type that it became nearly obligatory. Fan service can be a double-edged sword. On the one hand, putting things into a game specifically because they appeal to long-term fans can cheapen a game. In many ways, the entire Pokemon franchise has been fan service in some ways, pumping out often-mediocre games simply to fulfill the demand for more Pokemon content. However, fan service, when done correctly, is extremely powerful. If the elements actually complement and enhance the underlying game in addition to appealing to the fanbase directly, the appeal of these inclusions is excellent. In Pokemon X, that's exactly the case. The fan service in Pokemon X has two different levels to it. On the top level, the immediately clear and recognizable portion, is the inclusion of a host of favorites from the franchise's early days. You get to choose from the original three starters in addition to the new starters. Pikachu is catchable in the first forest. Snorlax makes an appearance, and as mentioned, Eevee is catchable in the wild, allowing you to obtain all of the different Eeveelutions in a single game. Weedle, Caterpie, and Pidgey are also available. There's fan service on the other side, too: Mewtwo and the Legendary Birds from the first generation are here as well. There are a lot of clear throwbacks to the earliest days, in ways that are certain to resonate with old fans of the series. I'm reasonably sure that if one were to graph the available Pokemon in Pokemon X according to the generation in which they debuted, Generation I would come in behind only Generation VI. However, if the fan service was just left at that, it would be a little cheap. There's no reason to include those Pokemon except that they're popular and the game is trying to remind people why they liked the franchise in the first place. What sets it apart, however, are those gorgeous graphics. It does not feel like the game is including Charizard, Pikachu, and Mewtwo just to try to salvage some appeal that it has failed to provide in more innovative ways. Rather, it feels like the game almost understands its status as the culmination of the franchise, and wants to help extend its own appeal, innovation, and beauty back to the most popular and beloved portions of the series. The game knows that upon seeing this graphical masterpiece, our first thoughts would be, "Man, I wish I could have seen Charizard in this game!" So, it is happy to oblige. As a result, Pokemon X is the first game in the franchise I have seen that leverages the series' popularity and origins positively rather than cheaply. It gives the player a gift instead of calling in a favor. It's not just in the battle scenes that this fan service comes through, either. The game includes several minigames, some for training your Pokemon's EVs and some for raising their friendliness and affection. These give the player the opportunity to interact with their Pokemon in a way that no other installment has done, and it is clear that long-term fans of the series would love the opportunity to see their favorites in this new light as well. The game also features fewer original Pokemon than any other new installment in the main series' history. This has been criticized by some, but as with the limited use of stereoscopic 3D, I praise this restraint as well. There are now around 720 Pokemon (I'm unsure of the exact number), with only around 70 being added in Pokemon X. No other generation has added that few. When Pokemon Gold doubled the number of Pokemon that were seen in Pokemon Red, that was significant; but when there are already 650 Pokemon before Pokemon X, is adding another 150 really going to change much? Absolutely not. Instead of concentrating on adding yet another new crew of Pokemon to meet and experiment with, Pokemon X seems to grasp the fact that there are still lots of Pokemon from the earlier generations we haven't used or experienced. Why not fill Kalos with these Pokemon, making them available earlier so more players can experience them for themselves? Finally, the last bit of fan service is one of the two driving narratives of Pokemon X – Super Saiy-... er, Mega Evolution. Several Pokemon have a mysterious stone they can equip, like Charizardite for Charizard. Once equipped, the player can choose to Mega Evolve that Pokemon in battle. The effect lasts only the duration of the battle, and only one Pokemon per battle can be Mega Evolved. When a Pokemon goes through Mega Evolution, its stats go up, its appearance chances, and sometimes even its type will change; Charizard, for example, can change from Fire/Flying to Fire/Dragon, and Mewtwo can change from Psychic to Psychic/Fighting. In all fairness, Mega Evolution is, to me, a little bit of a cheap type of fan service, adding something that looks and feels cool but really isn't a major contributor to the gameplay mechanics. I'll be darned if it doesn't look and feel cool, though, so I'm chalking it up as a positive. On top of all the significant improvements and fixes, Pokemon X also supplies a nice batch of more iterative improvements, the likes of which we are more accustomed to seeing from generation to generation. The major improvement is at Effort Values are now visible. Effort Values were always hidden components in Pokemon's stats that determined their growth and strength. To put it simply, they trained Pokemon according to the types of Pokemon they were encountering; beating speedy Pokemon would raise a Pokemon's Speed, raising high-attack Pokemon would raise a Pokemon's attack, etc. Previously, this was invisible. In Pokemon X, however, this is displayed for each Pokemon in their menu entry. Even more importantly, there is now a separate way of training up these Pokemon's EVs manually, allowing players to improve their Pokemon's stats without a long, tedious, rigorous training regimen consisting of finding and fighting the same Pokemon over and over and over. Also on experience, the Exp. Share has also been revamped to the point of being downright overpowered: it now gives all your conscious Pokemon half the EXP earned by the fighting Pokemon, but without actually taking any of that EXP away. So, by turning it on, your party as a whole gets 250% total EXP instantly. It's overpowered and actually severely damages the game's challenge and difficulty curve, but it's interesting and optional. The types have been changed around a little bit as well. The changes made, such as removing some of Steel type's resistances, help the balance of the game. The new type, Fairy type, is excellent and reduces the relative power and importance of both Dragons (by virtue of having no common weaknesses) and Ice-types (by virtue of being Dragons' only previous asymmetrical weakness). Fairy type isn't overpowered itself, though, given its weakness to the common Poison type and the increasingly common Steel type (okay, actually, it's a little overpowered, but hey). The starting Pokemon have been enhanced with an additional type as well; the Water, Fire, and Grass types eventually evolve into a Water/Dark, Fire/Psychic, and Grass/Fighting, doubling up the type advantages between starters (personally, I would have rather seen the wheel in the opposite direction, but no matter). And finally, as with most Pokemon games, Pokemon X includes a new gimmick in the form of minigames aimed at "playing" with your Pokemon. It's a gimmick, sure, but it's more enjoyable than the contests and other things from past games, so I'm classifying it as a positive. Pokemon X goes a long way toward fixing many of the flaws of the franchise and finally bringing it into the modern gaming generation. However, it is far from perfect, often falling back into its old bad habits, and in one instance taking one enormous step backward compared to the previous iteration of the franchise. The biggest weakness of Pokemon X, and the weakness that single-handedly knocked my score for the game from a 9 to an 8, is the horribly lazy, tragically weak plot. I know, it's a Pokemon game, no one plays it for the plot. It's still a single-player RPG, though; the plot doesn't have to be on the level of Final Fantasy, but it needs to at least be interesting... or at least even present. For all my criticisms of Pokemon Black, the one thing it did well was finally give the Pokemon franchise a serviceable plot with interesting characters and a distraction from the formulaic eight-gym Pokemon journey. It was the best part of the game by far, and it made me optimistic that maybe a real, compelling single-player storyline would follow in the next Pokemon game. Nope. Not even close. Pokemon X doesn't just take two steps back, it turns around and starts sprinting the other way. All Pokemon games have followed a relatively standard formula for their plots: there is an evil team trying to steal Pokemon for their own nefarious purposes, and it is your character's duty to stop them while also beating the eight gyms and challenging the Elite Four. Typically in the more recent installments, the evil team is also pursuing some legendary Pokemon whose powers will help their cause even more. In some cases, like Pokemon Black, the team has somewhat noble motives. In others, the team is just evil for no particular reason. Regardless, however, the plots have mostly followed this formula. It'd be nice for a Pokemon game to break the formula, but I wouldn't call it necessary; it's part of the game's charm. The flaw in Pokemon X, though, is the presentation. The plot follows the formula exactly, but no attempt is made to make it feel relevant, driving, or even present. Throughout the game, you'll occasionally encounter members of the new evil team of the day, Team Flare. They're never really doing anything specific or interest, they're just kind of aimlessly bumbling around. There's nothing memorable like Team Rocket taking over Silph Co. or chopping off Slowpoke tails, or even Team Plasma summoning Dialga or Palkia. They and their leader largely stay out of the plot altogether until you beat a certain gym. At that point, you get a phone call that basically amounts to, "Alright, it's time for the Team Flare part of the plot to happen, come to our secret lair." There's no build-up, there's barely any justification for the evil actions, there's no attempt to make the enemy seem sympathetic, and the entire event is over just about as quickly as it began. In earlier Pokemon games, the villainous team drove the plot, whether it be Ghetsis' pursuit of the legendary Pokemon or Giovanni secretly running the Viridian Gym. In Pokemon X, you could lift the entire Team Flare story out entirely and nothing else about the entire game would have to change at all. The entire thing is just that phoned in. That applies to the legendary Pokemon in Pokemon X as well. Like the other games, the legendary Pokemon, Xerneas and Yveltal, are in some way linked to the nefarious scheme. I won't spoil their role here, but there wouldn't be much role to spoil anyway. Unlike past legendary Pokemon, which were the subjects of rumors, fables, stories, and anticipation throughout the entirety of the games, these two are barely alluded to at all until the Team Flare portion of the game. There are a couple cinematic scenes that detail their roles in world events, but nothing as systematic, thorough, and nuanced as in past games. They're barely developed any more than the legendary Pokemon from the first generation, and those had no function in the games' plots. These two legendary Pokemon are relevant to the plots, yet they receive no development outside the usual hand-waving over how a Pokemon that created the universe or whatever could be captured by a human trainer: "Wow, such a powerful Pokemon wants to be your partner?!" There is a portion of the plot that had some more potential, but was tragically underdeveloped. It comes up more significantly in the ending, but during the actual story it's so lightly referenced that it feels out of place for the game to try to pin a poignant moment on it in its last five minutes. Overall, the best way I can describe the plot is that it's starting to feel as predictable as Mario. That's not predictable in the, "It's pretty clear the direction the plot is going to go" kind of way; it's predictable in the, "Holy crap, we've seen this exact story five freaking times already" kind of way. In Mario, you know Bowser is always going to kidnap Peach and Mario is going to go save her. In Pokemon, you know some evil Team Snarfballs is going to try to take over the world and your character is going to stop them. Mario never attempts to disguise that simplistic plot, but it's a platformer; it doesn't need to. Pokemon is still an RPG; it shouldn't have a plot this phoned-in and copied from previous games. It's a major flaw in the game as a whole, and single-handedly prevents it from being a Game of the Year contender for me (well, actually, the fact that The Last of Us exists also would prevent it from being a Game of the Year contender, but still). The other most significant flaw with Pokemon X is that, in many places, the game can just be tedious. Admittedly, the tedium only comes up when you're doing something to optimize your gameplay that itself is entirely optional, thus why I'm not letting this count against the game too much. Tedium is never good, but at least it isn't mandatory in Pokemon X. As mentioned, Pokemon X now includes a minigame that can be used to train your Pokemon's EVs and increase their stats. This doesn't increase all stats, but rather lets you choose specifically to raise Attack, Defense, etc. There is a maximum number of EVs that can be gained, meaning that essentially you're allocating stats the way you might in the player creation screen on Madden. The fact that you can do this now is excellent, but there are two problems. First, there is non-trivial incentive to perform your EV training immediately after obtaining a Pokemon that you plan to use for a while. This is because as the Pokemon fights, it will gain EVs just from defeating foes, and sometimes these EVs may not go into the categories you want to emphasize. Since there is a finite number of EVs each Pokemon can gain, this essentially raises one stat at the expense of another, and the only way to avoid this is to completely train the Pokemon to your specifications from the start. This means that immediately after catching a Pokemon, for optimal results you should spend a couple hours training it. This leads to the second problem: the game itself is tedious. It's a times little shooter mode where your Pokemon attempts to shoot balls through moving baskets while avoiding counter attacks. It's not awful, but it's not good enough to play as much as you need to for these gains. The hardest level, which grants the biggest stat gains, is still pretty easy once you get the hang of it, it takes a long time to complete the training, and once mastered the game isn't engaging at all. You're essentially left doing busy work to maximize your Pokemon's stats. I don't count it too significantly against the game because, as mentioned, it is optional, and it's a system that inherently must be somewhat challenging to provide a sufficient barrier to powering up Pokemon easily. Still, I personally feel the game should have been more challenging with bigger rewards to actually introduce a dynamic beyond tedious repetition. On my game, I clocked 40 hours when I beat the Elite Four, and I'm reasonably sure at least a quarter of that was spent on this boring training minigame. The same sort of tedium happens with another activity driven by optimizing statistics: natures. Each Pokemon has a nature that accentuates one statistic at the expense of another. Some Pokemon can be completely hamstrung by the wrong nature. For example, a physical fighter like Golett suffers significantly if its nature reduces its Attack stat while raising its Speed stat; all its attacks are physical, so it will do less damage, but it is so slow that even a Nature-boosted Speed will still put it slower than most Pokemon it will face. The solution to this is to keep catching the same Pokemon until you find a nature that you like, but that's, again, a very tedious process, especially when hunting a rate Pokemon. Of my forty hours of playtime, at least a third was spent hunting down a Riolu, Ralts, and Golett of sufficiently adequate natures. Again, I don't count this against the game too significantly because it is optional; you can settle for a poor nature and still likely do just fine. Still, it would be nice if there was a way to accomplish this dynamic built less on time and luck. Even despite the great strides forward in the graphics, Pokemon X is still a bit outdated in a few ways. The main culprit is that despite the advances, the game world is still grid-based. When walking around without roller blades or a bicycle, you move one grid space at a time. The skates and bike break this grid, but only until you take a regular step again. Thus, even though the visual depiction of the game world feels more dynamic and immersive, the underlying structure remains as restrictive as usual, except in certain cities that eschew this structure. The grid also means that many cities fall under the same strange design paradigm as the cities in every other Pokemon game. Almost all the buildings face one direction, making the game world seem very designed and planned rather than organic and realistic. Pokemon X is, truly, closer to a true contemporary Pokemon game since we've seen since the franchise first started to fall into a rut of rehashes and outdated releases. However, it still certainly has a little ways to go. To be truly modern, a Pokemon game needs a fully controllable camera the likes of which we've seen in every other RPG in the past ten years (and most every other portable RPG in the past five). It needs to give cities that are full and realistically laid out instead of framed perfectly for a stationary camera. It needs to break out of the grid once and for all to give a game world that feels legitimately organic and immersive, and until it does that, it will still remain somewhat outdated. I'm optimistic that with this latest generation, the franchise may have adopted a course that will actually lead to continued innovation, but the dramatic about-face that Pokemon X executes on its immediate predecessor's one strong feature diminishes any hope I have for the series maintaining its trajectory. Along with the improvements, the game also makes a few missteps in some of its new directions. None of these are awfully egregious, and in all cases, the mistake does not diminish the positive impact of the changes themselves. They still are worth noting, however. The first is the reworking of the previously-mentioned Exp. Share. In past Pokemon games, the Exp. Share was given to one Pokemon, and the experience that the fighter received from a battle was split between the fighter and the Pokemon holding the Exp. Share. It was slow and ultimately unusable because its effect was so negligible. In Pokemon X, the Exp. Share applies to the entire party and can be toggled on and off. On means that every single Pokemon receives 50% of the EXP earned by the Pokemon that fought in the battle. So, if you have a party of six and your fighter, a Charizard, gains 1000 EXP, then every other member of your party gains 500 EXP, for a total of 3500 EXP. The new Exp. Share has significant benefits (well, in some people's eyes) – no more grinding for EXP with a weak Pokemon, faster leveling of your party as a whole, and less need to constantly switch your lead Pokemon to level your party evenly. However, the item has significant drawbacks as well. First, it is likely responsible for the over-leveling problem; playing through the normal course of the game with the item on gets your main party far more powerful than they should be. Second, if you have a Pokemon that is a couple levels behind the rest of your party, you either have to turn the Exp. Share off (which seems silly since you're effectively wasting possible EXP), or use that Pokemon exclusively for a while since the EXP split means that the higher-leveled party members may as well be twice as many levels further ahead, given that they are gaining 50% of the lower-leveled member's EXP. This especially becomes a problem when a Pokemon faints for a few battles; when they faint, they no longer receive EXP from the Exp. Share, and it only takes a handful of battles for them to fall multiple levels behind. The second problem is similar. By the end of the game, even if you're only using the Exp. Share part of the time and even if your levels are on average 4-6 below your enemies at the Elite Four, the last portion of the game (and, really, the entire game) is comically easy. Don't get me wrong, I understand that with the wide range of possible teams, Pokemon, moves, stats, and abilities, it is nearly impossible to build opponents in the game that remain challenging without resorting to rubber band AI. That said, past Pokemon games pulled it off, so Pokemon X could have as well. My trek through the Elite Four involved one-hit KOing every single Pokemon I faced except for one, and that one was an exception only because it had Sturdy. My levels were all in the upper 50s, at least 5 levels below my foes. It's true that I was playing the type match-ups, but that's just playing the game well – the game still ought to offer some challenge, but in the end it was an incredibly anticlimactic conclusion. The only times across the entire game that I even came close to losing a fight were at the conclusions of long dungeons or routes of trainers, or when fighting a Sky Trainer (a fight in which only Flying Pokemon can participate) with only a single eligible participant. This problem is pretty significant – the strength of the game's single-player mode was overshadowed in part by the lack of challenge. Of course, part of the reason the single-player mode was less challenging is because there are so many more Pokemon to plausibly lose in the single-player mode, so I can't complain too much. And, finally, the game has a bit of a lag problem in a few areas. It never interferes too much, but it can be a little annoying in certain battles. It is especially noticeable in battle when the 3D is turned on. Not a huge issue, but a bit of a growing pain, I suppose. Pokemon X is deeply flawed and misses out on a lot of its potential. The story is absolutely abysmal; it followed the franchise's best story in Pokemon Black with easily its worst, a phoned-in walk down the checklist of necessary features for a Pokemon game with no attention to developing them to even a minimum point. It essentially became the Mario version of the traditional Pokemon plot, quickly dictating to the player the plot events they know are coming rather than walking through and developing them anyway. On top of that, the game still did not solve all of its outdated issues, often ventures into the realm of tedium and repetition, and messed up on a few of its new features as well. But really, who cares? No one plays Pokemon for the plot, the tedious elements can be skipped if you're not interested in optimizing things, and single player modes are rarely all that challenging. Ultimately, Pokemon X succeeds because it nails exactly the appeal that it needed to nail. It rescues the Pokemon franchise and delivers it back into the modern era. For several years, the Pokemon franchise has mostly appealed to gamers that grew up loving the earlier games; the series has been cashing in on that goodwill for generations. Now, it can finally appeal to new fans as well. For the first time in years, I can confidently say that a gamer that never played Pokemon should try it out. Only now am I confident in saying they might find they like it. Not since Pokemon Gold has the franchise had a viable entry point, but Pokemon X delivers that and more. But the real treat in Pokemon X is for the older fans of the franchise – not old in terms of age, but old in terms of the number of years spent buying each new installment even with the knowledge that it would mostly be the same experience we had before. For years, it felt like the franchise was building slowly toward its potential, a culmination of all the expectations and anticipations we gained after each iteratively-changed installment. Pokemon X seems to understand its role; it knows that it is delivering exactly what the franchise's fans have been thirsting for through the last decade and a half. And because it knows this, it goes out of its way to make that delivery as spectacular as possible. It includes all the old favorites and many of the features we've been hungry for in a beautiful package that feels like an embodiment of what we always knew Pokemon could be. Sure, there is still plenty of room for improvement, but for the first time since the second generation, I am reasonably confident that the franchise will deliver. A must-play for Pokemon fans and those who have never tried the series. Those who haven't enjoyed Pokemon in the past, though, probably still won't.